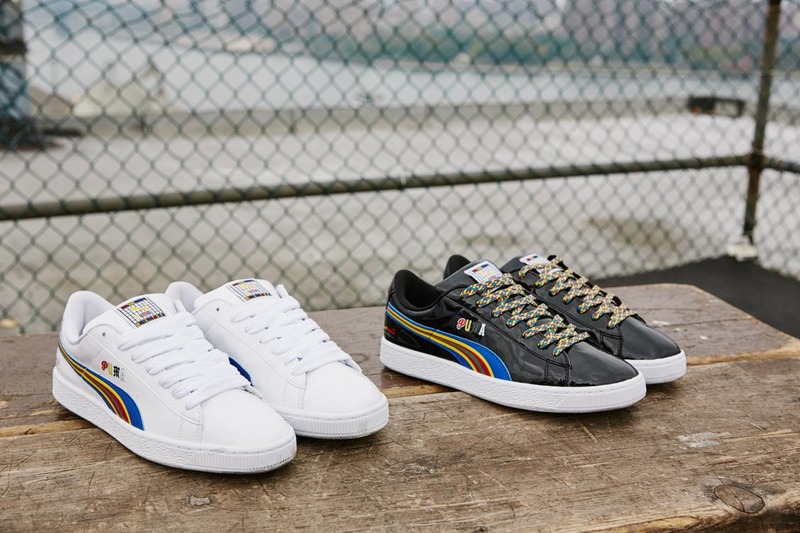 PUMA collaborated with Staten Island’s design duo, Dee and Ricky Jackson for the first time. The brand new range takes a look inside their whimsical world where no colour is too bold and no detail is overlooked. 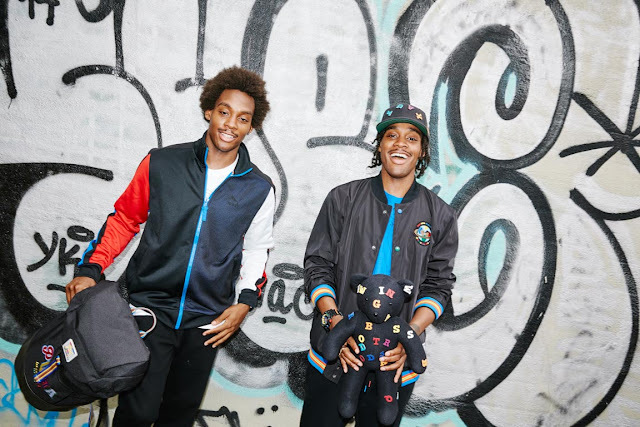 Dee & Ricky’s brand is built on the brothers' uncanny, innate artistic visions. Their business began with Lego brooches and quickly won over the fashion world thanks to its bright and quirky style. The self-professed style curators debut their new and first PUMA range taking basketball as their inspiration. Revisting PUMA’s well-loved Basket, Dee & Ricky use playful and innovative ideas to create a shoe that will truly stand out. Available in two finishes - glossy patent leather (R1 299) and Velcro texture (R1 499). The apparel and accessories are equally eye-catching. The PUMA x Dee & Ricky Bomber Jacket (R3 199) comes in a soft nylon fabric featuring knitted ribs and waistband with colourful tippings. The woven PUMA x Dee & Ricky label on the front bottom and big wording on the back is finished off with ‘we will win’ embroidery representing the collection’s sports inspiration. The PUMA x Dee & Ricky Basketball Tee (R499) comes with a playful basketballer print combining the duo’s design ethos with PUMA’s sportswear heritage. The PUMA Dee & Ricky AOP Tee (R799) features the designers’ bold and colourful body with black contrast sleeves and neckline. Number “86” printed on the chest honours the brothers birth year. A signature PUMA x Dee & Ricky cap (R349) has an all over coloured print with a 3D embroidered Archive No.1 logo and PUMA No.2 woven tab sign off logo on the reverse. A collaborative woven label matching the sneakers is also featured on the bold cap. 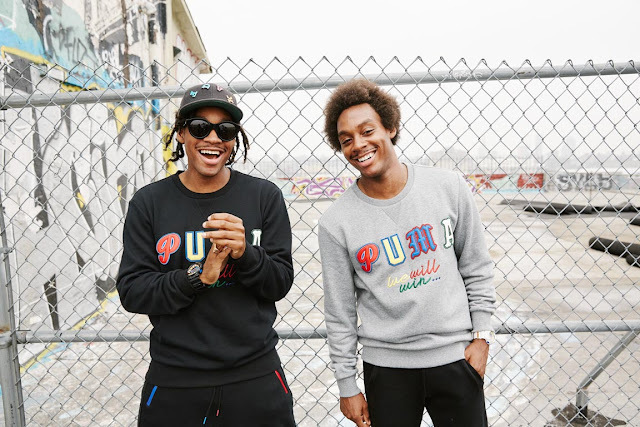 PUMA x Dee & Ricky can be found at PUMA SELECT stores in Bree Street, Cape Town and Braamfontein, Johannesburg, as well as X–Trend, Madaiza and selected retailers nationwide from 10 March 2016.